Society: Numerous Sulph-Orcs roam the galaxy in loosely-aligned bands of interstellar raiders, while a great many others have settled down on frontier planets, hiring themselves out as mercenaries or laborers to those with the most credits. The only Sulph-Orcs to organize on a more extensive scale are lead by a powerful Sulph-Orcs commander known as Kharachar. 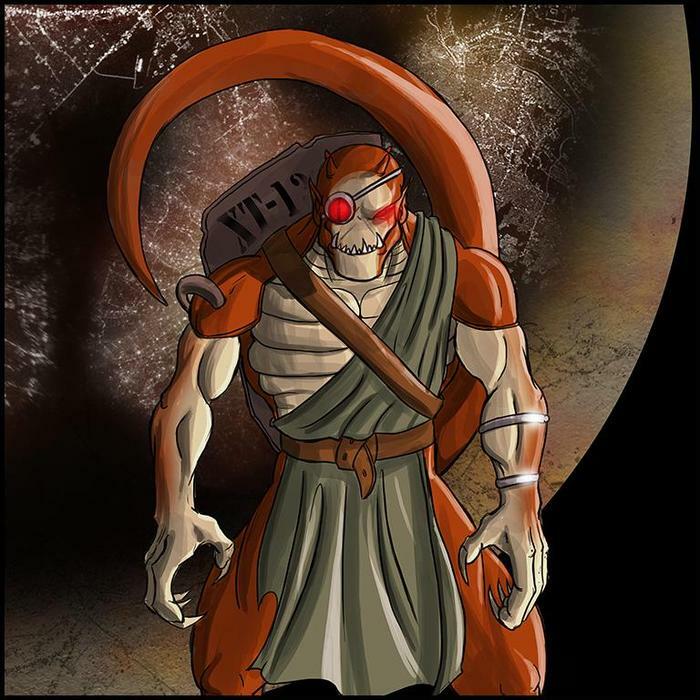 Under his violent yet impressive leadership, the Tydanic Horde dominates much of the remote sector of the galaxy known as the Tyrdanos Cluster. Technology: Sulph-Orcs ships are rugged, heavily armed vessels fueled by the the combustion of kokytic ore. To suit the preference of their pilots, the vessels often forgo shielding in order to include more powerful armaments. The noxious miasm produced by the kokytic drive makes operating Sulph-Orcs technology quite dangerous for other races.